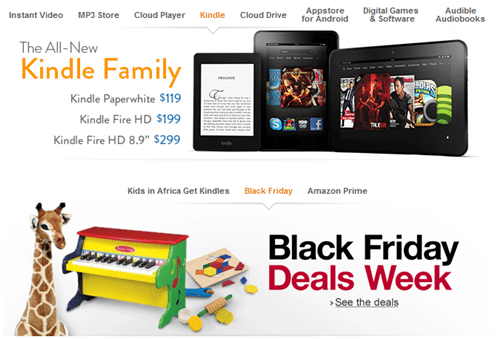 Amazon.com, Inc. recently announced the launch of its Black Friday Deals Store. The deals destination will feature a Deal of the Day, along with limited-time, doorbuster-style Lightning Deals and other huge savings on the hottest electronics, toys, clothing and more, now through Black Friday weekend. Below is a preview of items that will be discounted at various times leading up to Black Friday. Check the Amazon Black Friday Deals Store frequently for deals and pricing.